There has ben much uninformed comment on the law of sedition, as applied in India, and the judgment of the Supreme Court in Kedarnath v State of Bihar (AIR 1962 SC 955). The purported exposition of law of each of the aforementioned persons is incorrect. It would be appropriate to first refer to the facts of Kedarnath. Kedarnath in one of the appeals (Criminal Appeal 169/57) had given a “statement” mentioning “dogs of CID” and “Congress gundas” and talking about their “liquidation” said “we believe in the revolution which will come” and “those who loot the country would be reduced to ashes and on their ashes will be established the government of the poor and the downtrodden people of India.” Kedarnath was charged under Section 124A of the Indian Penal Code which punishes sedition. If Lawrence Lang was right that “mere speech no matter how subversive is not sedition” Kedarnath should have been acquitted. The Supreme Court, however, upheld his conviction. The Supreme Court said that it was not contended before it on behalf of Kedarnath that the words used by him did not “come within the purview of the definition of sedition” and that no argument was advanced that “even upon the interpretation given by it” his case did not come within the mischief of the said section and hence his “Criminal Appeal 169/57 has to be dismissed”. Before dealing with the interpretation given by the Supreme Court another equally significant aspect of Kedarnath may be referred to. There were two other appeals before the Supreme Court dealing with “speeches” given that “excited the audience with intent to create feelings of hatred and enmity against the Government. The accused were again charged under Section 124A. The High Court of Judicature at Allahabad had set aside the proceedings holding that Section 124A was ultra-vires Article 19(1)(a). If Lawrence Lang’s understanding of sedition is the law the appeals against the said setting aside should have been dismissed. But the Supreme Court instead of dismissing the said appeals remanded the matter to the High Court for consideration in light of its judgment and hence decide whether the speeches were seditious. The case against them, therefore, could not be rejected at the thresh-hold. A “subversive” speech is inflammatory, treasonous and incendiary. The words “subversive” means a tendency to “subvert”. And “subvert” is defined in the New Shorter Oxford English Dictionary as “corrupt, pervert, disturb or overthrow a system” and “weakening or destruction of a country, government or a political regime”. A subversive speech is bound to have “the tendency” to create public disturbance and promote public disorder and hence is liable to prosecution for sedition. The offence of sedition is made one because it is “in the interest of public order” which is one of the limitations on freedom of speech under Article 19(1)(a) of the Constitution of India. And as the Supreme Court itself held, “This Court as the custodian and guarantor of the fundamental rights of the citizens has the duty cast upon it of striking down any law which unduly restricts freedom of speech and expression. But the freedom has to be guarded against becoming a licence for vilification and condemnation of the Government established by law in words which incite violence or have the tendency to create public order.” This is precisely what the Federal Court had also held. A bad tendency alone is enough to attract the offence of sedition. The charge in Kedarnath’s case itself shows that the test for invocation of the offence of sedition is neither “imminence” of disorder nor “a clear and present danger of it”. Notwithstanding there being no immediate prospect of “revolution” which Kedarnath mentioned nor the immediate possibility of the existing dispensation “being reduced to ashes” as he desired the “bad tendency” of what he spoke was itself sufficient for his prosecution for sedition. 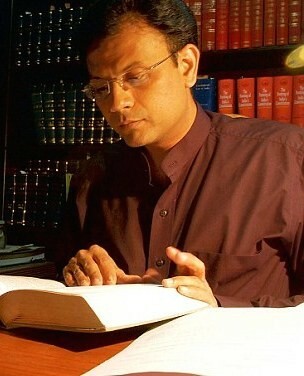 The judgment in Shreya Singhal’s case is sometimes referred to for reliance on “clear and present danger” test as the basis of justification on any speech but what is ignored is not merely that the Bench Strength of the said case was two judges only (Kedarnath was five) but also that it specifically mentioned Kedarnath and other cases to affirm that restrictions on freedom of speech can be justified on the ground of their having a “tendency” to cause harm, the test applied in Kedarnath. In any event hatred, contempt or disaffection cannot never get constitutional protection. Mr Sorabjee added a new twist to the whole issue. In an interview he suggested that Pakistan zindabad is not sedition but Hindustan murdabad might be sedition. This creates a piquant situation. Please consider the consequences. An Indian (according to Mr Sorabjee) is immune against action if he shouts Pakistan Zindabad but if he shouts Hindustan Murdabad its impropriety needs to be debated. And debate is protected! But if debate is protected how can that which is being debated (Hindustan Murdabad) be the cause of arrest? Arrest thus will be unwarranted in both cases whether one shouts Pakistan Zindabad or Hindustan Murdabad! Indians can thus travel the length and breadth of the country either shouting Pakistan Zindabad or Hindustan Murdabad and not be tried for sedition. But if one protests against this he is liable to be arrested for objecting to legitimate political action! Four other aspects need to be noted here. It is, firstly, said that Section 124A has been used to imprison Tilak and Mahatma Gandhi and the very use against such outstanding Indians shows abuses inherent in the provision. The criticism however misses the fact that interpretation of the said section as used to prosecute Tilak has been rejected by the Supreme Court which not only followed the Federal Court’s interpretation instead of that of the Privy Council but also rejected challenge to its legality for violating Article 19(1)(a). The repeal of sedition in the UK is next referred to as necessitating a similar repeal in India. Such comments ignore the fact that the balance between unfettered right to speak and the necessity of national security is clearly affected by historical events and cannot be viewed in vacuum ignoring the effect national and international developments on the political atmosphere in the country. The conditions prevailing in India mandate retention of the offence of sedition notwithstanding the repeal in the UK. It is next said that “sedition” was not included in Clause (2) of Article 19 – a fact mentioned by Mr Nariman in a recent article. The reason for its exclusion was the expansive interpretation put on the section by the Privy Council which at the time the Constitution was enacted was the law but which is no longer the law now. In any event the Supreme Court itself has held that the prosecution for sedition is “in the interest of public order” and “public order” was added to Clause(2) of Article 19 by the First Amendment. Finally Balwant Singh’s case is relied upon for suggesting one can raise anti-India slogans and yet not be prosecuted for sedition. In so doing those relying on Balwant Singh confuse the findings peculiar to that case with the law it declared. The approach is flawed because what is binding in a judgment is the law it declares and not the conclusion it reaches. And in declaring the law the Supreme Court in Balwant Singh’s case applied literal interpretation of Section 124A (not limited by purpose or mischief of the provision) to hold that the application of the offence of sedition will be attracted “when the accused brings or attempts to bring into hatred or contempt or excites or attempts to excite disaffection towards the Government established by law in India, by words either written or spoken or visible signs or representations.” The Court therefore expanded the reach of Section 124A. And the only reason it did not hold the accused guilty in that case was because the slogans were raised by a lone individual that too only a couple of times and evoked no response. Uninformed criticism has little evaluative merit and no social purpose. Public discourse to be meaningful must be educated. It can otherwise lead to complete irrationality and would violate of Laws of Thoughts, the axiomatic rules on which rational discourse is based.